This 2-day training course gives a profound introduction to flow cytometry. Theoretical presentations and hands-on sessions in the laboratory convey the basics of instrument setup, including detector adjustment and fluorescence compensation. 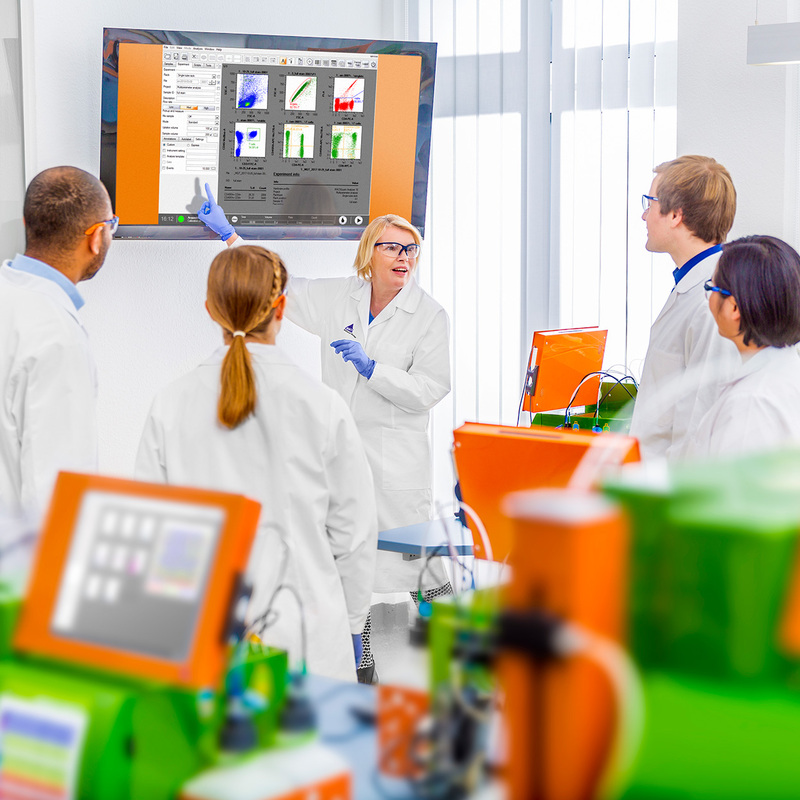 The training also outlines the design of multicolor cell analysis experiments, sample staining, and measurement, as well as the analysis of flow cytometric data. All practical flow cytometry procedures are performed on the MACSQuant® Analyzer flow cytometer using the MACSQuantify™ Software.